Here we are at Day 3 of our May release sneak peeks!! There is a story to this stamp set. When I was creating this stamp set, I imagined sentiment stems for the pretty flowers. Since this is a supportive friendship sort of set, I started thinking of various ways to say friend, and mon ami came to mind. It sounds elegant and graceful and pretty, just like the flowers in this set...and it's fun to say! Being that I took Spanish in school, I sought the interpretive skills of the only resident French speaker in our house to make sure mon ami really did mean friend so as to avoid any costly mistakes. Mon Ami sample stamp set you are so happily holding in your hand. And you make a not-so-nice squishy face back, and say "what's that look for?" and he says "well... there are flowers." and you say "yeah? so?" "mon ami means guy friend and mon amie means girl friend." "but I asked you if mon ami meant friend"
"but I didn't realize you weren't including the silent e when you said it"
AND your stamps are in production, and your catalog went to the printer today, and you just poured the last glass of wine in the house!!! Ooooh, I promise you that I googled half the night away searching desperately to find some obscure linguistic rule that would allow mon ami to be used in a generic friend way. Mon Ami is a male friend. Mon Amie is a female friend. Fortunately, I was able to stop the presses...literally, LOL! and get the fixes in at the very last second. So, the set is still called Mon Ami, but I was able to add a Mon Amie sentiment which makes it all ok.
#2 It's a good story!! Now let's see the pretties, shall we? Look how good Mon Ami looks with Lovely Greetings and Lovely Links! 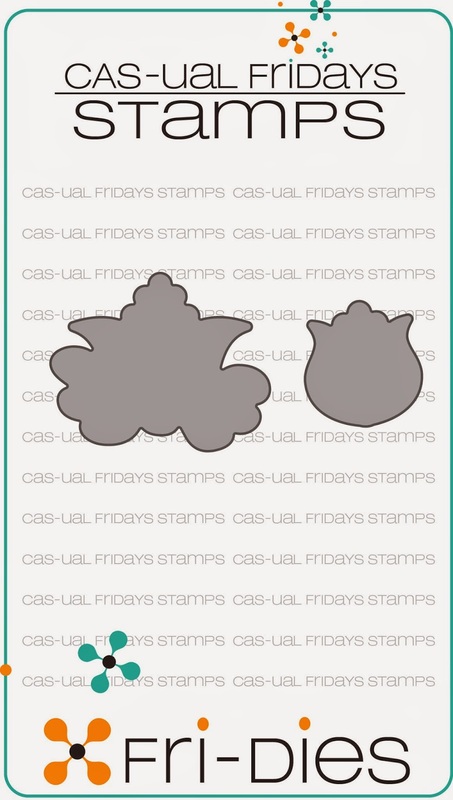 We still have 1 more darling stamp set to show you tomorrow! If you've ever swooned over our Calm and Gentle...just wait!! Tomorrow we bring you the last sneak AND the RELEASE the goodies!! I love the story cause that would be so me. I spell it as it sounds and my son is always doing the eye roll to let me know I have no idea. I cant wait for these and they better not sell out before I can get my grubby hands on them. Hate that being in Australia we so often miss the first release so will be holding my breath. You have done a brilliant job and your team has truly highlighted all the stamps and dies. That is just a gorgeous stamp and die set! The cards are all beautiful, with or without the "e"! Now aren't you glad you asked him? The set is gorgeous! Omg gorgeous stamps set and dies amazing cards samples!!!! Oh my gosh....LOVE this set! What a great story and the cards are just beautiful!!! What an awesome release so far! LOVE the new set - there are so many possibilities! Your projects are breathtaking!! Lol cute story! This set is gorgeous!!! Love the shapes of the flowers and such perfect sentiments!!! Wonderful cards with this set and love the story! Love your story , Michele! ;) The set is beautiful! And WOW, ladies...amazing projects! Hilarious story!! Love the stamp set...with or without an "e"!!! Great stamp set and dies, and the "amie" story is a bonus! Love the font and sentiments, and the DT cards are stunning! Such a cool story behind this gorgeous stamp set, love it!!! Love the set, love the story! Seriously must have that flower!!!!!!! So glad you shared the story of these stamps. It makes them even more beautiful. The DT cards are all beautiful. Was unable to find Zoey's post on her blog this morning, but will check back later for all the deets on her pretty card. mon ami, mon amie - either way it's a friend. I love the flowers. The DT did an amazing job in the different coloring that they did. This is a beautiful set. I'd be thrilled to hear I had won it. thanks to everyone for sharing some wonderful cards. Oh-la-la is right, Michele!!!! What an absolutely FABULOUS stamp set and coordinating die set!! And what a crazy story! So glad to hear it all worked out okay in the end! And truly....it was worth it.....can't wait to get my inky fingers on these new goodies!! Really gorgeous set and the inspiration is just wonderful!! :) Thanks for sharing! Ooo-la-la for sure!! Those flowers are fabulous! Great story, now that it it has a happy ending, anyway. : ) And since you can mix and match stamp sets, I'm sure there are plenty of occasions when the "Mon Ami" sentiment will be used for guys (just probably not with the flowers). What a cute story. Gotta love kids....lol. I get the same kinda "tude", so I got a very clear image as I was reading it...LOL. THANK YOU for the correction, ad for your diligence in making it. I might have issues with things like this. That said, I NEED THIS SET, and I don't even like flowers. Can't wait for release day! Fabulous cards today to show off this lovely set! Love your fun Mon Ami/Amie story! I would not have known the difference or noticed it! Love the flowers and excited that there are dies to match! I love the sentiments as the stems! So lovely in so many ways! Great story about the French spelling faux pas. My 13 (going on 40) year old son is equally snobbish about Spanish pronunciations and usage (my three years of high school french don't help me much with Spanish.) It's good that you now have stamps in the set for both guy and girl friends! That story is fantastic! Children! Fired, all of them ;). I adore the flowers in this set and I'm not usually a huge floral girl. My other favorite is from one of your sets too ;). Thank you for also including great sentiments. This is a must have for me! love these flowers!!! they are gorgeous!! nice stamp set.. I absolutely love this stamp set. And the matching dies. But the stamp set is one of the best I have seen in a long time. OMGosh I loVE this stamp set and that it has matching dies. Thanks everyone for sharing your beautiful cards. I can't wait to order these to play with!!! I think the saying, "KIDS!" applies here. lol...glad it was able to be fixed and thank you to all the dt for beautiful inspiration! OH WOW... These flowers and dies are gorgeous!!! Your team just amazing, their cards are SUPER GORGEOUS! OMG - what a story - glad you could fix it! Great new stamps!!!! Luv the story & the new sets & the DT work! LOL! I really enjoyed your post - sort of thing I'd do. I love, love these stamps - so pretty. Wonderful sentiments, pretty fonts and dies too! Superb inspiration cards from the team. Can't wait for the release!! Love the humorous story behind these stamps! If I'd had the stamps without the "e" I would have just added it in myself with a fine liner etc. Gorgeous cards and after seeing these and others I may have to sign up for email updates! Love, love, love the Mon Ami set and DT samples!!! Love this set, super fun! You have my sympathies. Since French is my second language, I totally understand; including that, "Why didn't you tell me that part?" about it? It's even more confusing when you think that it is mon ami and mon amid when mon is considered the masculine pronoun. Confused me for years! Love the set and all the DT samples. I'm so glad you were able to fix it so I can order and use this set! Love this set and all the creations! The flowers are so pretty~ Just loving it! Hilarious story! And a wonderful set! You'll certainly remember that story every time you see this set!! Its gorgeous and stylish and will be oh so popular! Mon ami or amie, I'm stretching back a long way to my year 10 French, either way this is a great set. Love all the released products! Thanks for the chance to win! This stamp and set is gorgeous!! Love the all cards! What a wonderful and unique stamp set!! Love it and the cards are spectacular!!! 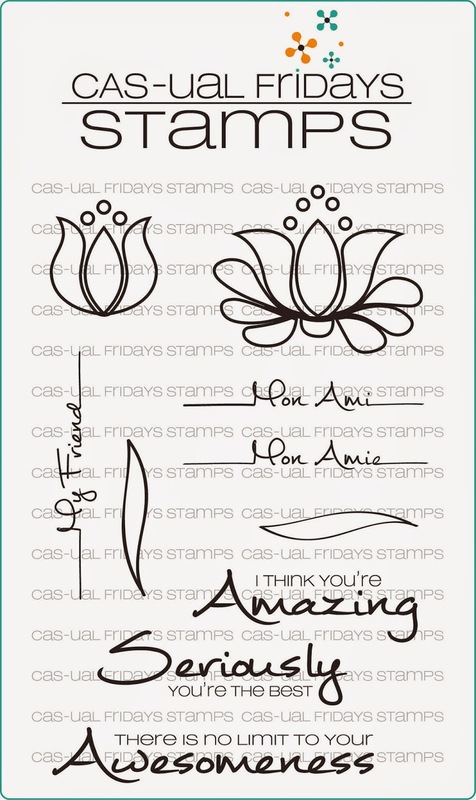 Amazingly done by your designers and what a showcase they have made of this new stamp set!!! So very excited about all the new things you are coming out with!! Love the story! Love the stamps! Totally in love with this range!